Minutes into his five-game unpaid suspension for having praised Fidel Castro in a community filled with, and animated by, people who think Castro comparable to Hitler, Manager Ozzie Guillen of the Miami Marlins tried to explain that he had hoped to say he was surprised Castro had stayed in power so long, and that someone who had hurt so many over so many years was still alive. That’s an added wrinkle, and it suggests the suspension may be insufficient, at least in terms of length. For some context: over a period of six or seven years, Cincinnati Reds’ owner Marge Schott had said something to offend virtually every group except The Visiting Nurse Association. She said Adolf Hitler “was good in the beginning, but went too far.” She had previously made antisemitic remarks, kept some Nazi trophies from her late husband’s service in World War II (not all that uncommon), bashed gays, blacks, Asians, and supposedly wanted to fire her manager Davey Johnson because he was living with his girlfriend. Major League Baseball – as opposed to just the team acting on Guillen – suspended her for two-and-a-half years and eventually applied enough pressure to get her to sell the franchise. Well – what about it? That’s the whole thing. In case you think there’s a hidden meaning in there somewhere protecting Ozzie Guillen’s – or your -right to say whatever he wants without consequences from his employers or his community: No. Translation of the cornerstone of the Bill of Rights, the 1st Amendment to our Constitution to the current mess? Congress shall make no law abridging Ozzie Guillen’s freedom of speech. His bosses? They can abridge it all they want. Not quite. Ozzie is guilty of praising (or admiring, or being astonished at, or being appalled by, depending on when you ask him) Castro’s longevity, in much the same kind of way he would’ve tried to praise Jamie Moyer if he threw a 4-hit shutout against the Marlins. But there are third rails, and in South Florida, Castro is viewed as the destroyer of lives, the ruination of the homeland, the man who separated families, tortured opponents, the man who sent would-be refugees to drown or be eaten by sharks, and sent a country back to 1947. There are survivors, and the relatives of those who didn’t survive, and one of the things they don’t want to hear is that there’s anything good about Castro. And I can’t blame them. You can’t view this exclusively from your own perspective. You need to remember that much of the geographical area the Marlins represent view what has happened to Cuba since 1959 the way Israel views its more belligerent neighbors – or worse. No, don’t. The 1st Amendment doesn’t protect you either, Bud. The question remaining is: Is five games sufficient. A local anti-Castro group said yesterday it planned to picket and protest the team until Guillen is out, or Castro leaves office, or both – In which case Ozzie had better hope he has completely misjudged the dictator’s longevity. One assumes a serious suspension would tamp down the fire pretty quickly. 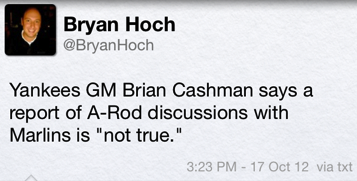 There are a lot of arguments here, but the one to leave out involves wrapping Guillen in the 1st Amendment. It might be nice (or it might be disastrous) if we all had some kind of private immunity from controversial statements, but we clearly don’t. That’s from a subscriber-only article in Time. Ken Rosenthal has written that in the context of how Fidel Castro is viewed in South Florida, the Marlins need to do more than have Ozzie Guillen apologize at his news conference tomorrow, that they need to suspend him for as much as a month. That’s the whole thing. In case you think there’s a hidden meaning in there somewhere protecting Ozzie Guillen’s – oryour -right to say whatever he wants without consequences from his employers or his community: No. Ozzie is guilty of praising Castro’s longevity, in much the same kind of way he would praise Jamie Moyer if he threw a 4-hit shutout against the Marlins. But there are third rails, and in South Florida, Castro is viewed as the destroyer of lives, the ruination of the homeland, the man who separated families, tortured opponents, the man who sent would-be refugees to drown or be eaten by sharks, and sent a country back to 1947. 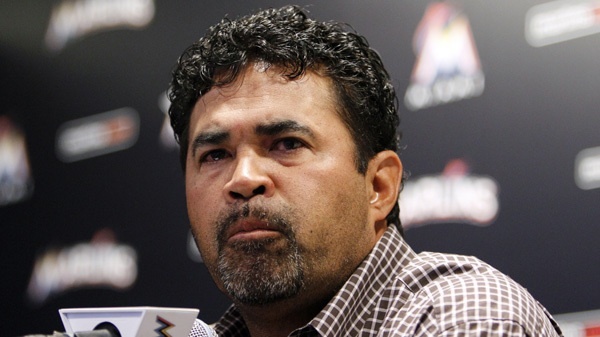 If the Marlins don’t act decisively, one anti-Castro group plans to picket and protest the team until Guillen is out, or Castro leaves office, or both – In which case Ozzie had better hope he has completely misjudged the dictator’s longevity. One assumes a serious suspension would tamp down the fire pretty quickly.